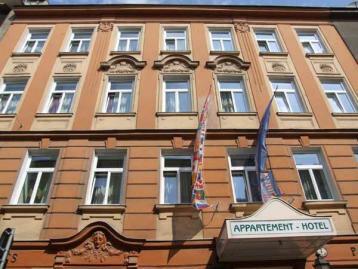 Our friendly ActiLingua Apartment-Hotel*** is located in a recently renovated Art Nouveau building in Vienna. Our well appointed, modern and spacious single and double apartments provide a fully equipped kitchen for self-catering, private bathroom and toilet as well as radio, telephone, Sat-TV, breakfast on request as well as free W-LAN/Wi-Fi. Our hotel-service***: Our rooms are cleaned daily (Monday through Friday). Linen and towels are provided. The apartment is located in a building on a quiet residential street in Vienna's 11th district. Local attractions include Belvedere Castle, Hundertwasser House an Gasometer Shopping Centre. Thanks to an excellent public transport link the city centre is only a short underground ride away (10 min.). Enjoy the comforts of home and a great degree of independency and privacy in a quiet location.